But in a swift reaction, the PDP presidential campaign said Tinubuâ€™s statement could only come from an incoherent politician, who suffers from limited knowledge of politics and its dynamics. According to Tinubu, â€œAtiku could build a house of the party membership cards he has accumulated. But one thing he should remember is that a man who builds a house of cards ought not to cast stones at a man who is building a house with a firm and true foundation. Tinubu also attacked Atikuâ€™s campaign pledge to ensure 14 million new jobs yearly, and crashing of fuel pump price, describing them as lies that have no basis for actualisation. 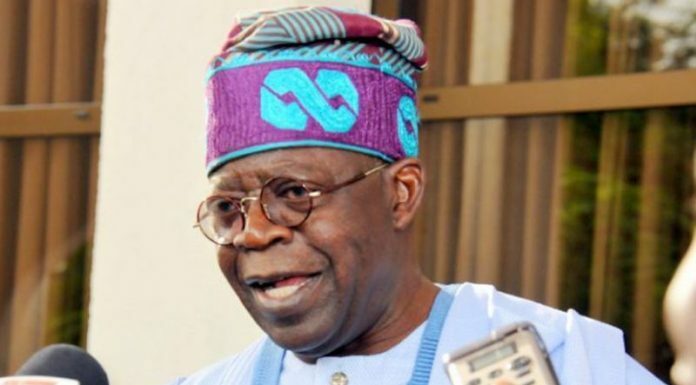 The APC leader berated former President Olusegun Obasanjo for suddenly doing a somersault to endorse Atikuâ€™s presidential bid after vowing never to support him, saying the move by the former president to mend fences with his former deputy was not a sincere one. He dismissed the PDPâ€™s call for the resignation of the Chairman of the Independent National Electoral Commission (INEC), Prof. Mahmood Yakubu, and the Inspector General of Police, Mr. Ibrahim Idris, describing it as blackmail. Tinubu also spoke on the role being played by Senate President Bukola Saraki in the opposition party, describing him as a sell-out, who used APCâ€™s mandate to negotiate with the opposition. Also speaking at the event, Osinbajo said there was a gang up by discredited elite against Buhari, adding that despite all attacks and evil wishes, Buhari is alive and well and will emerge victorious at the 2019 general elections. â€œWe will return President Buhari as president of the country for a second term,â€ he said. Earlier, the chairman of the National Committee of Buhari Support Groups, Senator Abu Ibrahim, said the meeting was intended to rally all the leadership of the support groups preparatory for commencement of campaigns. The Chairman of the event, Senator George Akume, said there is a lot the APC will showcase to Nigerians as the campaign progresses, saying the APC-led administration has delivered on both security and in lifting people out of poverty. However, responding to Tinubuâ€™s comment last night, one of the spokesmen for the PDP presidential campaign council, Prince Kasim Afegbua, said, â€œWe are not surprised that Senator Tinubu has suddenly found his cracked voice to run commentary against former Vice President Atiku Abubakar. â€œFor those who parade limited knowledge of history with faint memory, it is our duty to remind them, where they are coming from. When Alhaji Atiku was in APC, Senator Tinubu worshipped him like a semi-god. â€œHe was always at his beck and calls. Simply because he moved to PDP, heâ€™s suddenly turning history upside down like a typical revisionist. Afegbua said, â€œHe has migrated from AD to AC to ACN and now APC. How can such an individual derive the morality to pick the specks in anotherâ€™s eyes, when his own history is laden with crass inconsistencies? â€œNow that APC has fully realised its manifest failures and foibles, crippled governance and leadership, with ridiculous incompetence and incapacity to deliver on its electoral promises, the likes of Tinubu will deliberately want to distract attention from the critical issues plaguing us today as a country. He said Tinubuâ€™s story was an open sore that was irredeemably contrived in several incongruities, hypocrisies, inconsistencies, and double standards, adding that he cannot wake up overnight to wear a moral badge.